In 2016, one of the most awesome movies involving an animal that knows martial arts returns with its biggest comedy adventure yet, KUNG FU PANDA 3!!! This really is so exciting! My family and I absolutely love Po and the first 2 movies. I know that this one will be even bigger and better! When Po’s long-lost panda father suddenly reappears, the reunited duo travels to a secret panda paradise to meet scores of hilarious new panda characters. 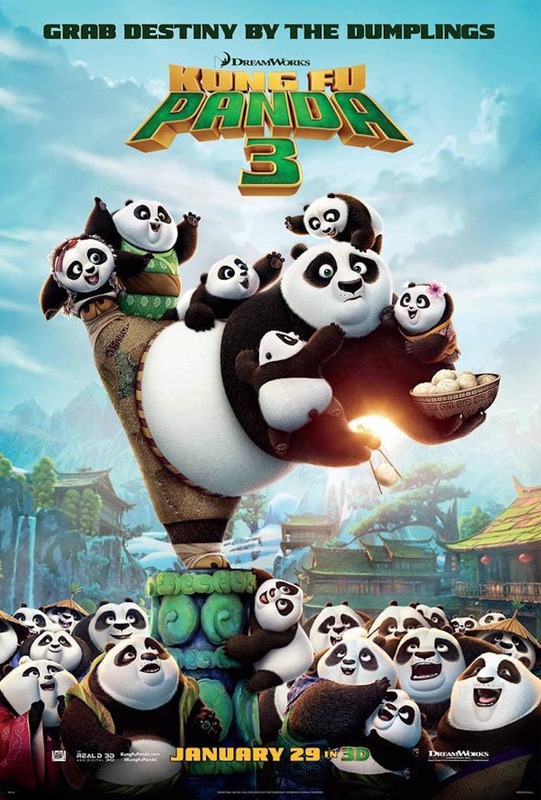 But when the supernatural villain Kai begins to sweep across China defeating all the kung fu masters, Po must do the impossible — learn to train a village full of his fun-loving, clumsy brethren to become the ultimate band of Kung Fu Panda 3!! Kung Fu Panda 3 is in theaters this Friday, January 29th, 2016!!! 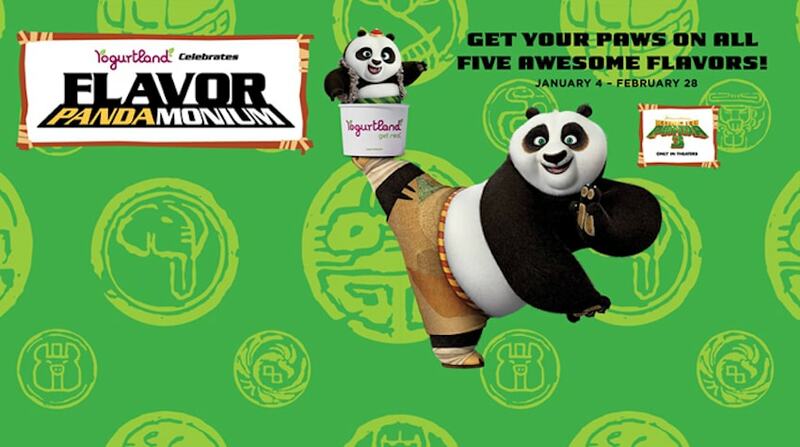 To celebrate the launch, Yogurtland is getting crazy and celebrating Pandamonium! 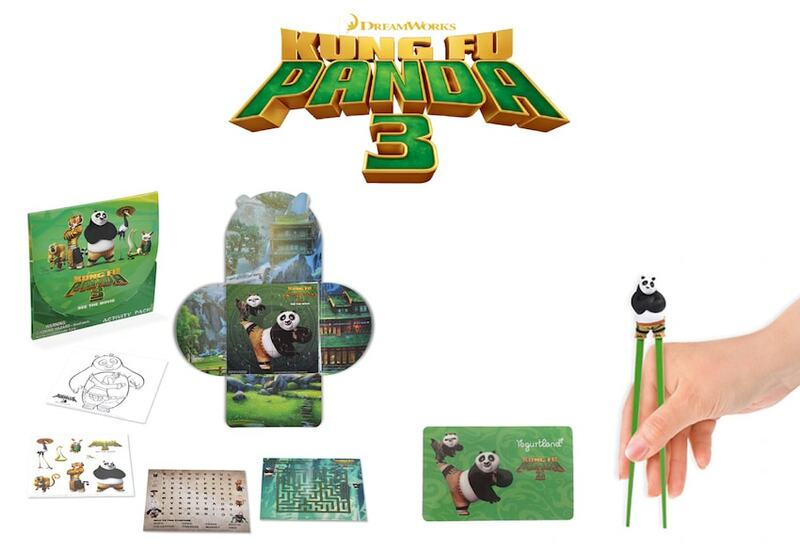 Yogurtland is karate-kicking the year off by bringing the fun and excitement of DreamWorks Animation’s Kung Fu Panda 3 to their locations! Through February 28, you’ll be able to enjoy new flavors of their delicious frozen yogurt inspired by your favorite characters from the movie, starting with Po’s Cookies and Cream, Mei Mei’s Dragon Warrior Passion Tart and Bao’s Cherry Tart. Available starting February 1, Tigress’ Big Pop Sorbet and on February 15, Master Shifu’s Honey Graham! For those of you looking to take the fun and excitement from the movie home, key chains of these AWEESOOOME characters will be available for purchase at participating Yogurtland locations while supplies last. Remember Kung Fu Panda 3 is in theaters this Friday, January 29th, 2016!!! *Lady and the Blog LLC received product and compensation for this review and giveaway.